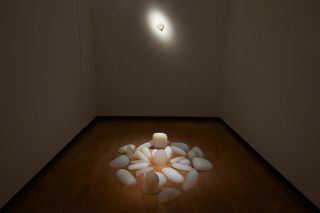 Some contemporary art exhibitions benefit from a simple, constrained premise, and OPTIMUNDUS is one of them. 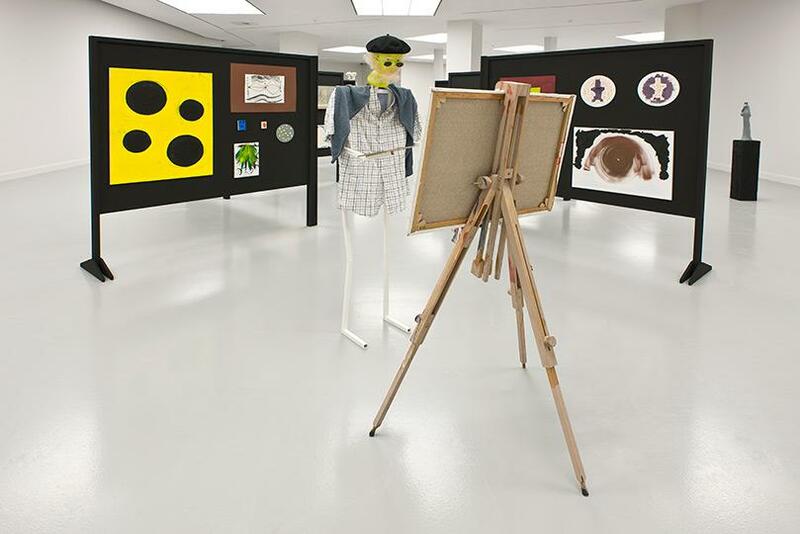 Curated by Nav Haq, recipient of the ICI Independent Vision Curatorial Award 2012, the show presents installations, videos, drawings and sculpture from Brussels-based artist duo Jos de Gruyter & Harald Thys. Their work will be presented at M HKA for the first time on an international scale, followed by a second show at Kunsthalle Vienna in 2014. 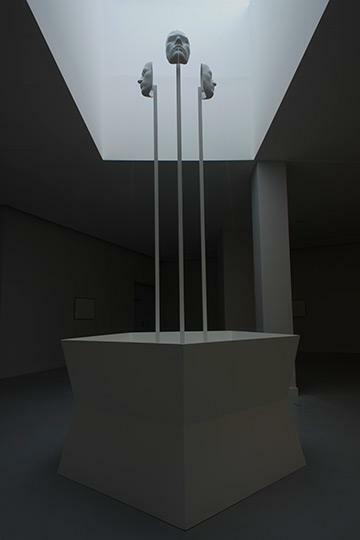 In the center of the wide exhibition hall, a static sculpture of three masks sputters water into a tin basin: ‘the Three Know-it-alls’, (2013). This will be the reverberating soundtrack of your promenade. 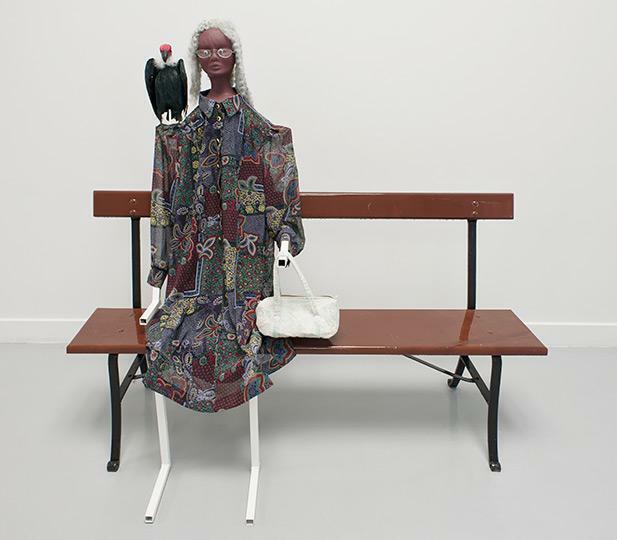 Arbitrarily installed in the white space, sculptures and installations are surrounded by pictorial narratives in the form of pencil drawings with a tram as their protagonist (‘Public Transport’, 2013). 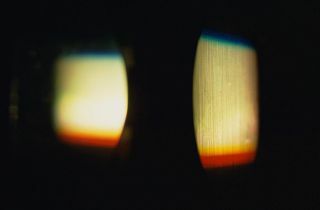 They offer a possible trajectory through de Gruyter and Thys’s imagination of the ‘parallel world’, the focal concept of the exhibition, rendered as a dotted circle in the video ‘About the relationship between the real world and the parallel world’ (2010). The parallel world of the artists is inhabited by dummies with a certain worldlessness at their core. 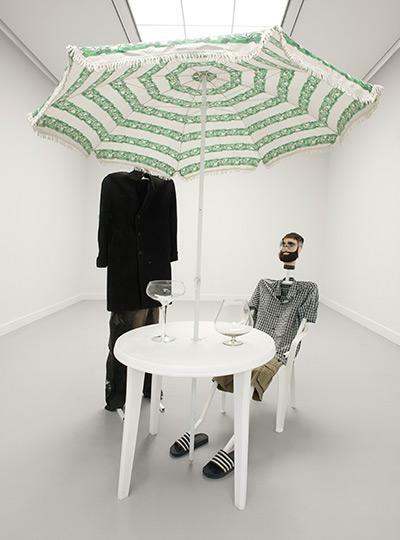 ‘So ist das’ (2013) for example, an installation of a puppet under a parasol having a glass with a fellow costume, confronts you with a familiar yet strange feeling. A similar sentiment occurs when watching their recent video ‘The Riddles of Saarlouis’ (2012), where the twin dummies Kitty & Katty proclaim a series of impossible riddles from the other side of the screen. 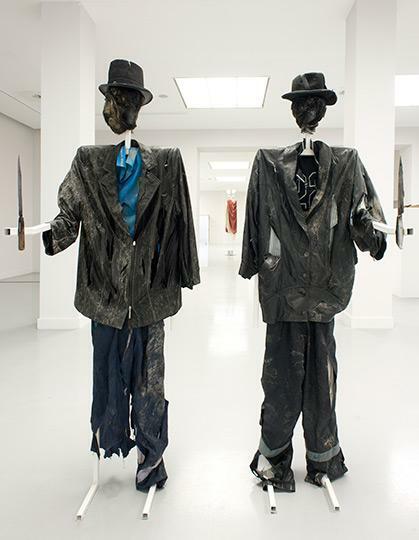 ‘Ricco & Rocco’ (2010-2012), two puppets with raven black heads, green knotted eyes and an iron framed corpus are the most frightening characters I have ever seen in an exhibition context. Clearly, dolls come with a certain creepiness factor. The odd and the contemporary have been partners for a long time. In German choreographer Oskar Schlemmer’s staging of the avant-garde ‘Triadisches Ballett’ in 1923, for instance, puppets with geometrical costumes danced in an extraordinary, mechanical way. 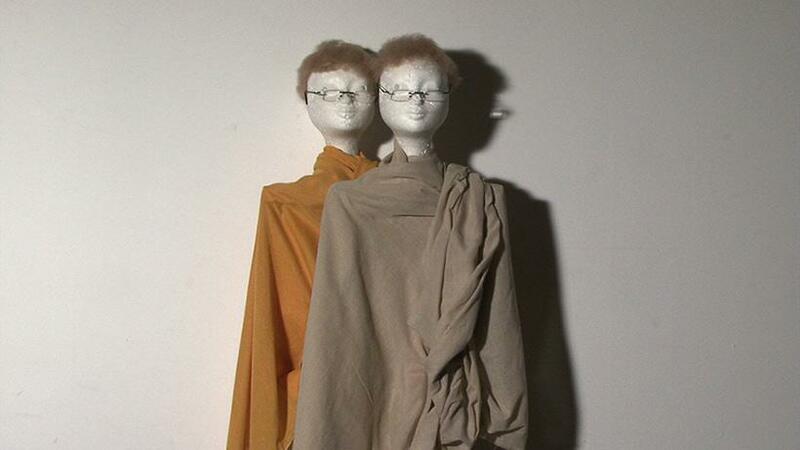 The dummies in OPTIMUNDUS have something in common: they serve as surrogates, silent jokers and even psychological prosthetics in an artistic approach that verges on the edge of the idiotic. Therefore it comes as no surprise that the artists’ inspirational sources for this show are as idiosyncratic as they are manifold; key scenes in films by Visconti or Fassbinder, reality television, personal traumas and YouTube videos, ranging from Russian road rage to the home videos of Chechen President Ramzan Kadyrov. 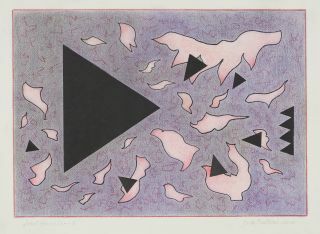 According to the artists ‘a complete symbiosis between the real and the parallel world is possible, where the creatures from one world enter silently the reality of the other world’. They call it a ‘parasitic storm’. This relationship becomes ambiguous as one enters Jos de Gruyter & Harald Thys’ world of meta-characters. Who is entering whose reality’ I left the exhibition rather disordered.